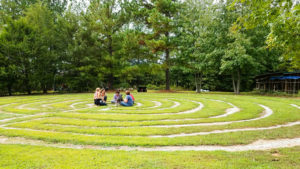 Join Tina Marie, owner of Effervescent Wellness and ThetaHealing® Instructor, and Bodhi Deva Ma, co-founder of New Paradigm and spiritual coach, healer and yoga teacher, for a life changing retreat experience at Sacred Grove in North Carolina. Relish in a long weekend of healing, yoga, community, connection, nature, and sacred ceremony. Through this transformative healing experience you will become a Certified ThetaHealing® Basic DNA Practitioner empowering you to perform deep healing on clients and yourself. When lightworkers come together to experience and share unconditional love, magic happens! We are so excited to spend 4 days and 3 nights with you, empowering you to fully shine your light!